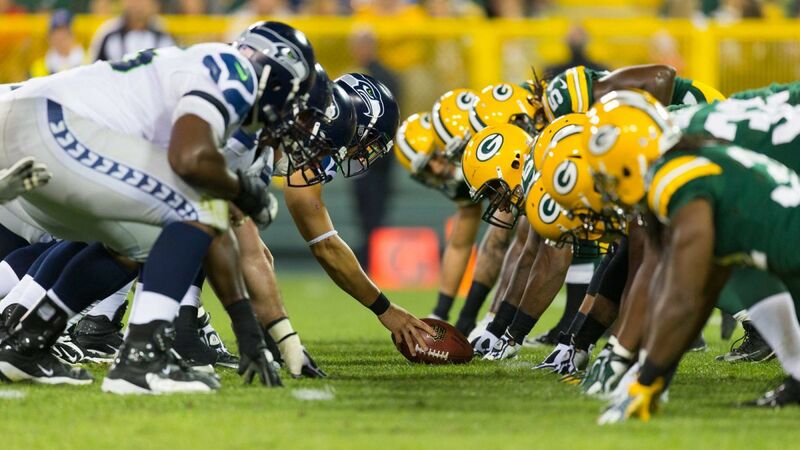 The Green Bay Packers will host the Seattle Seahawks week one at Lambeau Field. Here’s an early look at the blue birds’ first regular season opponent. The impact of Ted’s statement moves will have to wait. Despite the Packers’ need to bolster the NFL’s 22nd-ranked defense from last year, the Packers will line up week one at home against the Seattle Seahawks (Sunday, Sept. 10) with a full complement of holdovers on the defensive side of the ball. What they won’t have are a number of rookie contributors. The Packers’ prize rookies will be mostly watching the proceedings. Here is how the Packers’ four top draft picks are faring thus far, with a look at their chances of playing against the Seattle Seahawks in week one. In a word: Rough. It’s been a tough start for the Packers’ first draft pick, Seattle’s Kevin King. Right now, the word is “usual growing pains” for a raw player (only 1.5 seasons at cornerback at the University of Washington) trying to find a place at what is probably the league’s toughest position to master, due to a bevy of supreme athletes at wide receiver and a stacked-against-the-defense rule book. That said, King has struggled but managed to keep his head up despite suffering a minor shoulder injury and working through some rough practice reps that saw him get scorched with frequency by quarterback Aaron Rodgers and his deep receivers corps. The good news: He’s not demoralized. Yet. His only live preseason action saw more of the same. King was up and down against the Philadelphia Eagles in Green Bay on August 10, showing a strong willingness to tackle. King also got burned for a few long gains, including a 38-yard touchdown after a failed tackle attempt. Early season outlook: In reality, the Packers are sure to line up with veteran safeties Morgan Burnett, Ha Ha Clinton-Dix (first-time Pro Bowler) and a combination of three veteran cornerbacks for their standard nickel package that will include returnee Davon House (past two seasons in Jacksonville) and recent high draft picks Quinten Rollins and Damarious Randall. As the Packers’ top draft pick, King’s roster spot is assured early on, but he will be challenged to get any playing time even in the dime package, where he will have to beat out last year’s №1 cornerback (due to a spate of injuries) LaDarius Gunter and athletic second-year prospect Josh Hawkins. Veteran Demetri Goodson can also not be counted out. Ultimately, King provides the type of body (6′ 3″, good speed and smooth athleticism) that other Packers defensive backs do not have. He will be counted on when the Packers decide to play match up ball, but not early on. In contrast to King, Jones is having a fine start to his young career. He is easily the brightest spot among the Packers’ rookie defenders. Or at least he was until he suffered a right ankle injury in practice on Tuesday, Aug. 15. His current availability is unknown, but he was carted off the Packers’ practice field for treatment. The Packers would be well-advised to consider encasing Jones in bubble wrap during the preseason, given the gimpy shoulder of the guy drafted before him and his two fellow defensive draftees below, both of whom are out of action for multiple weeks. Early season outlook: At 6′ 2″, 220 lbs., Jones is ideally suited for the in-vogue hybrid safety / inside linebacker several teams are deploying these days. Count Green Bay in that group. They call it their Nitro package. Unfortunately for Jones, starting safety Morgan Burnett and 2016 enforcer, second-year safety Kentrell Brice, are taking a lot of the reps as the Nitro linebacker as well. Since we already know who the Packers’ starting nickel group will be and the high likelihood that Brice will be next in line, Jones will almost certainly be relegated to special sub packages in the early season once recovered from his current ankle injury. Adams, the former Auburn Tiger, looked to be a perfect fit for the drafters and draftee. Unfortunately, he didn’t make it through his first training camp practice uninjured. Adams felt pain in his foot during the first practice of training camp on July 27, played through it the next day and has been inactive since. He underwent surgery in early August, having a screw inserted in the long bone on the outside of the foot that connects to the little toe. Early season outlook: At this stage, Adams looks to be unavailable for even week one duty. With virtually no training camp reps in his rookie season, Adams will have to be worked in slowly to get acclimated to game shape and moreover, acclimated to real NFL action. At least he got mini-camp reps, unlike Vince Biegel. The Packers will be fortunate to get any contributions of substance from Adams by mid-season. Fourth-round selection outside linebacker Vince Biegel, was the first of the Packers rookies to go down. He remains out of action with a foot injury suffered on the second day of rookie orientation in early spring. He has not taken a padded rep since the Packers drafted him in the fourth round. He remains on the PUP list now nearly two weeks into training camp. Early season outlook: While Biegel claims that his foot injury is “progressing well,” he refuses to put a return date on it. Which means, “not soon.” Which means the Packers are inching close to potentially a lost season for the Wisconsin product. Given the high importance of early training camp reps where competition is prioritized over game preparation, Biegel will be hard-pressed to regain any stature among the Packers linebackers. His opportunities to contribute this season shrink every day he remains out. Kick off for the Seahawks at the Packers is at 1:25 p.m. Pacific on Sunday, Sept. 10.